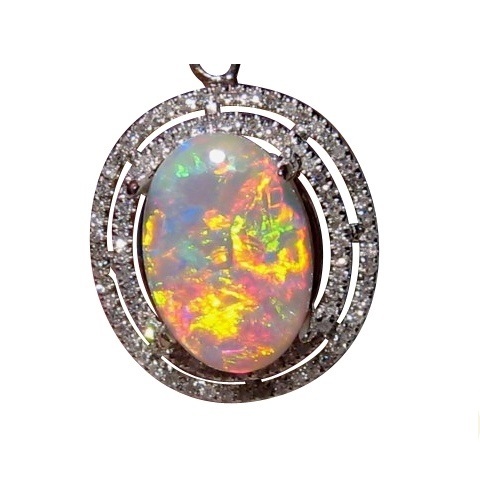 Crystal Opal and Diamond pendant in 14k Gold with extremely bright colors. 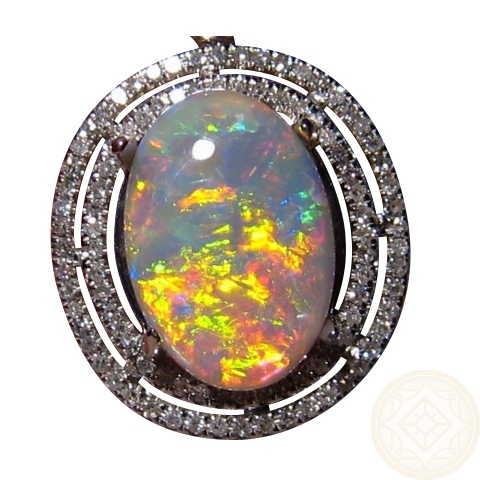 Exceptional Opal and Diamond Pendant with an extremely bright Coober Pedy Crystal Opal that weighs 3.8 carats. 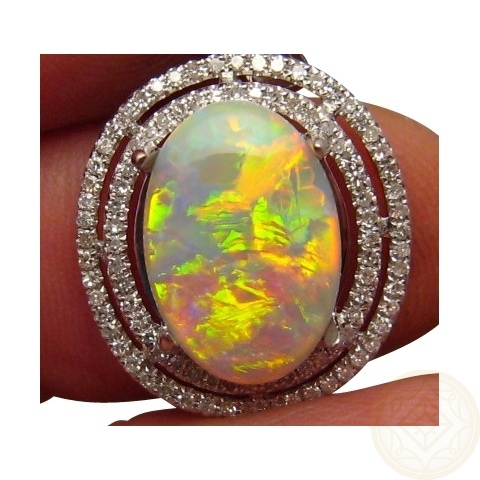 The setting is shown in 14k White Gold and has a double halo of small quality Diamonds that really sparkle against the featured stone. 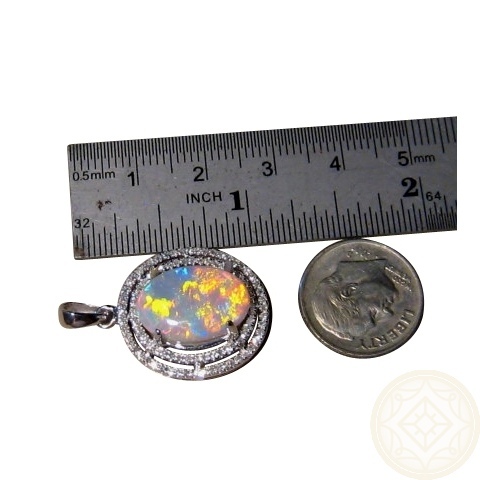 The Red and Yellow colors have 'off the chart' brightness meaning this will be noticed when worn. 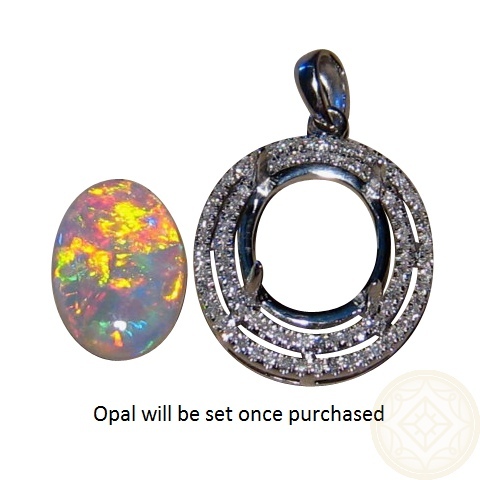 The Opal is not yet secured so can be mounted into a different setting and you can inquire through this product for assistance if you prefer something more to your taste. 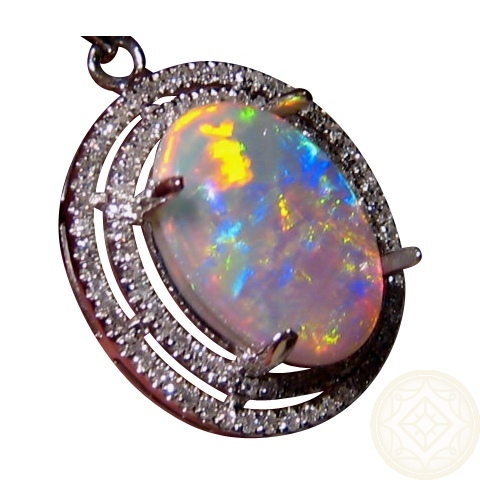 This stunning pendant is ready to ship as advertised or will take 14-21 days for Yellow or Rose Gold.